Frontiers in Evolutionary Neuroscience is no longer open for submission, but the new specialty section Evolutionary Psychology and Neuroscience, hosted by the Field Journals Frontiers in Neuroscience and Frontiers in Psychology, welcomes your submissions. While this specialty journal has now closed, the Frontiers in Evolutionary Neuroscience archive of articles represents its aim to understand the evolution of neural processes, neuroanatomical structure, neural structure - function relationships, and cognition and behavior. Brains regulate behavior and as such have been designed by evolution to solve specific adaptive problems faced by organisms during evolutionary history. Frontiers in Evolutionary Neuroscience was dedicated to publishing papers that lead the field in discovering mechanisms that have undergone selection pressures resulting in evolution (divergent or convergent) of structure or function that leads to a greater understanding of 1) the neural processes of animals and humans; 2) neuropsychiatric disease states and the paths in which normal neural processes have gone off course; 3) the genetics underlying variations across species in neurocomputational hardware and behavior; and 4) evolutionary underpinnings that gave rise to advanced social and cognitive capacities. Evolutionary neuroscience is the discipline poised to answer fundamental questions about the nature of the nervous system, such as the degree to which behavioral, cognitive, and neural modularity exists (e.g., domain specificity versus domain general processing); heritability and variations (species, regional, cultural, ethnic, and individual) in intellectual, social, and personality characteristics; make predictions about ancestral neural states (paleoneurology); and inform behavior and clinical modification programs from an evolutionary perspective. 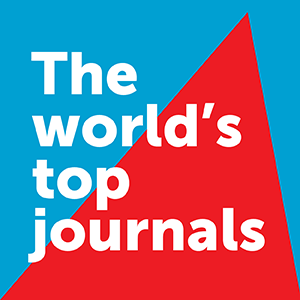 The journal features contributions that tackle questions from a broad spectrum of disciplines and use myriad methodologies including, but not limited to: comparative genetics and genomics; investigations of allelic variations of behavior, cognition, and neural structure and function; comparative investigations of animal and human behavior that address the underlying cognitive and neural architecture; and functional neuroimaging studies that have been guided by an evolutionary framework. Short Name: Front. Evol. Neurosci.